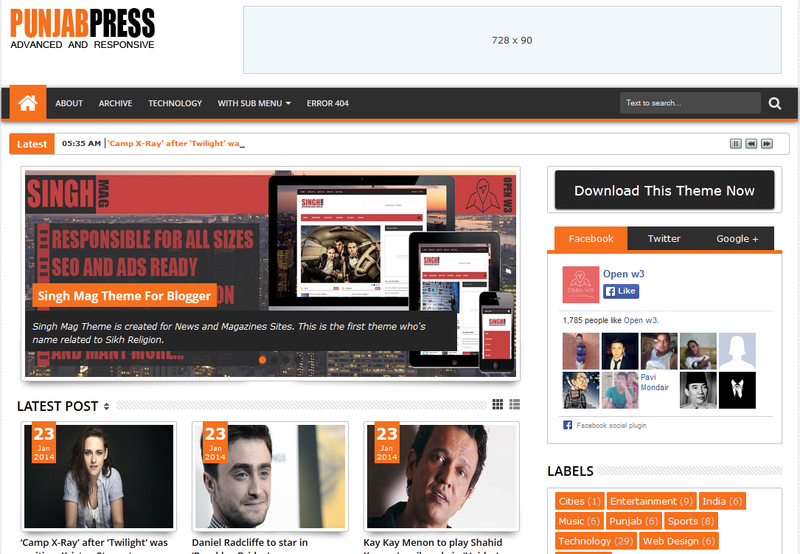 Punjab Press is a clean and well-structured themes for newspapers or magazines template. Having some really good feature like like seo friendly, dropdown menu, slider and many more. It is also perfect for monetization and its compact body makes it a strong adsense-ready blogger template.